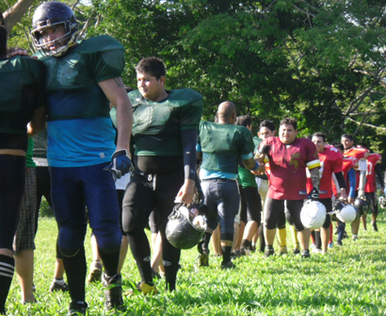 LIPFAn: Liga Premier de Football Americano Nicaraguense is a recently formed 1st division league in Managua, Nicaragua. 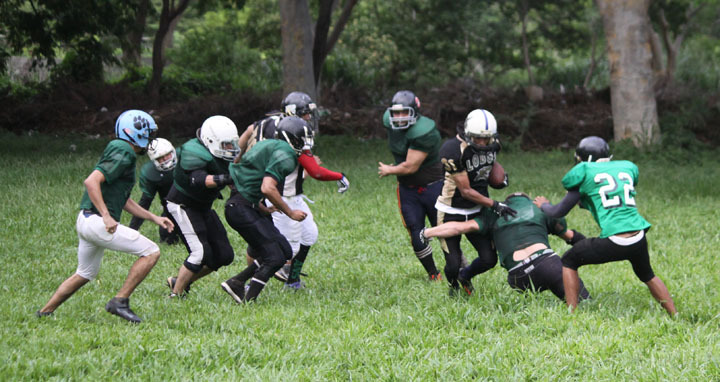 Its founding member teams are the LEONES of Managua and MINOTAURS from the AFAM: Asociacion de Football Americano de Managua as well as the LOBOS and IRON WOLVES from the ADEFAN: Asociacion para el Desarrollo de Football Americano en Nicaragua. Even though the league is in it’s first year of operation, its teams have well developed rosters. On a recent trip to Managua I had the opportunity to meet with the committee of the LIPFAn which encompasses representatives from both the AFAM and ADEFAN leagues. The LEONES of Managua team will be traveling to Costa Rica for a cross border friendly tournament to be held POSTPONED in the district of Cartago just on the outskirts of the capital city, San Jose. The Costa Rican host team of the tournament is the Cartago DRAGONS F.A. 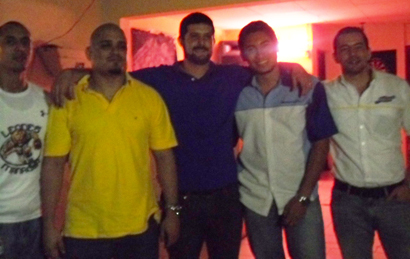 After speaking with the representatives of the participating Nicaraguan team, it quickly became apparent that they are very keen to participate in the tournament that is honoring the 6th year anniversary of the DRAGONS conception. 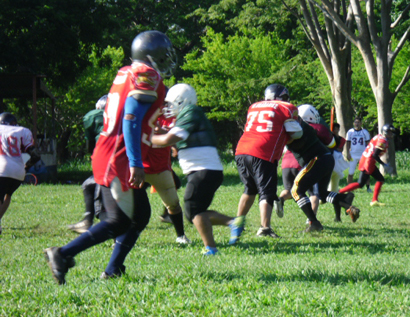 On Saturday, September 6th the LIPFAn Week 6 games started at 2:30PM under a scorching hot sun whereby I witnessed the LEONES of Managua beat out the IRON WOLVES in the last few minutes of the game, resulting in a final score 14 -12. 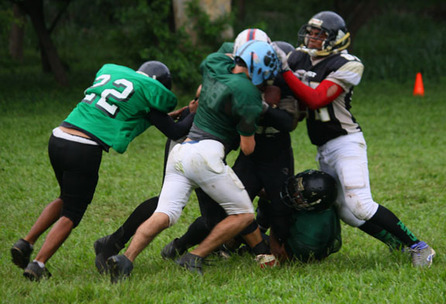 The second game of the day brought the LOBOS, a solid team with seven years of playing history, against the MINOTAURS, a new team formed this year even though the team is comprised of seasoned players from a previously folded team. 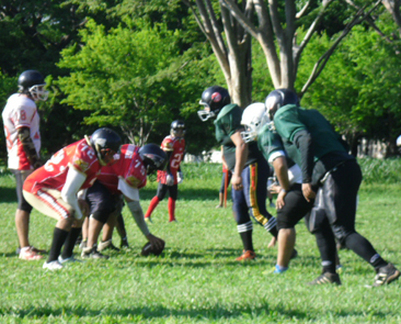 The LOBOS team took the win 12 - 06. 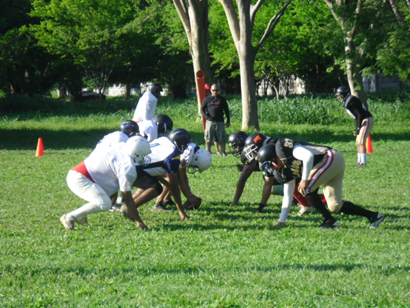 A few weeks later on Saturday, September 20th facing off in the championship game were the LEONES of Managua and the LOBOS teams. 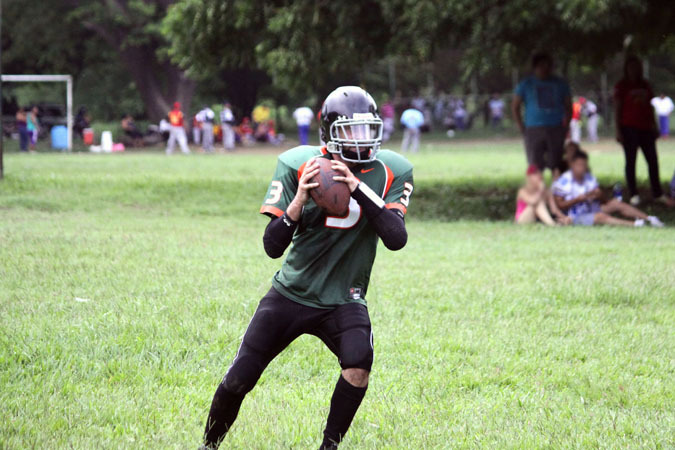 I asked Rodrigo Pallais, President of the LIPFAn and QB for the LEONES of Managua to give me his postseason synopsis.